Every year thousands of tourists come to the trans-Himalayan district of Mustang to enjoy the deep music of nature that this historic place offers. While scores of tourists enjoy natural and cultural richness inherent of the place, nature plays a different tone on its residents. Nature was not so punitive to these residents until the past few decades when people enjoyed the landscape as much as the curious travelers trekking and playing in the snow. But now the climate has changed. People feel deceived in their homeland by their own mother nature on whom they’ve depended fully for their life, food, water and livelihood. 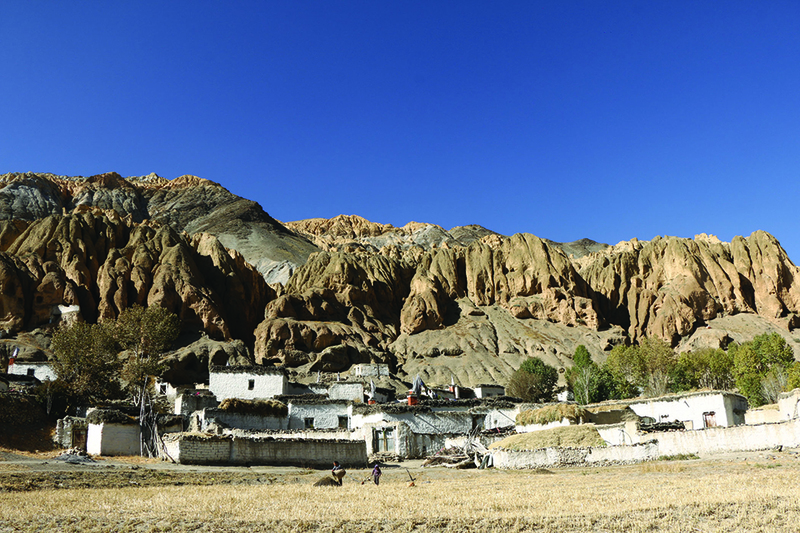 Dhey village lying in the remote isolated corner of Mustang Himalayas is struggling for its existence. Residents of this village remain largely detached and enjoy negligible benefits of development. Yet they have become the greatest victim of the consequences of such developments elsewhere. With the changing climate survival is becoming tougher for all living beings—plants, animals and people. Increasing temperature and changing precipitation patterns have disrupted traditional practices and made it extremely difficult to sustain livelihood. Water sources are drying up which has caused loss to more than 50 percent of cultivable fields, this along with severe scarcity of drinking water, as well as lack of water for the continuity of even daily household activities. The process of an ever-warming Himalayas has already begun to turn Upper-Mustang into ashes of its former greatness. Dhey village along with Samjung, Tetang and Sangta are paying a big price of climate change effect. Dhey, located at over 3800 meters above sea level, has a total of 26 households with only 11 households currently living there. Decrease in snow cover, combined with decreasing rainfall, as evident from the nearest metrological station, have doomed agriculture production. ‘Kapku Kulo’ and ‘Nhamu’ streams are major source of water for the village, wherein people depend on it wholly for agriculture, livestock and drinking water. As the snow cover decreases and glacier retreat and snow melting become rapid with increasing temperature, scarcity of water has become alarming. Similar problem persists in nearby Samjung village where Samzong stream has dried up. People’s livestock-dependent lifestyle is on the verge of collapsing. Pasturelands are quick drying and the grasses are not enough to feed the livestock. Survival for livestock has become difficult because of heat stress and increasing threats from disease and predators. Yak herding has become difficult as a result of which more and more families have forgone their traditional occupation. Presently only a single nomadic yak herder is seen continuing the tradition in dilemma, trapped in the vicious circle of poverty, climate change and tradition. Loss of animal is a loss of a brick from building of culture associated with it. Dr Fiedel Devkota who has done PhD on climate change effect and spent a long time in understanding communities’ situation and their adaptation process in Dhey admits: “Migration is inevitable and that the process was also being supported by Kolpo Nepal in Germany and Besa Nepal in France by collecting funds to help the Dhey-Thangjung resettlement committee,” he said. 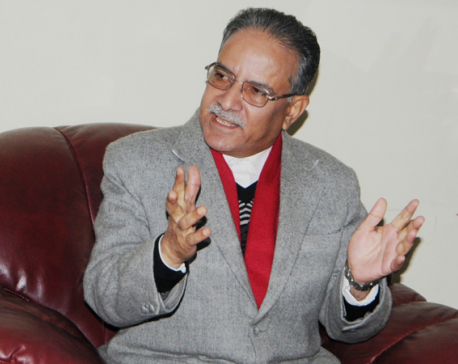 He further added: “National Trust for Nature Conservation (an autonomous organization managing the Annapurna Conservation Area) has been supporting the residents to sustain their livelihood and cope with impacts of climate change but the amount of support is not enough given the bigger scale of the problem”. Analysis of the past three decades of metrological data for the area reveals an increasing trend in temperature and decreasing trend in precipitation. This scientific evidence is in line with people’s perception and observed impacts on agriculture, water, livestock and ecosystem. 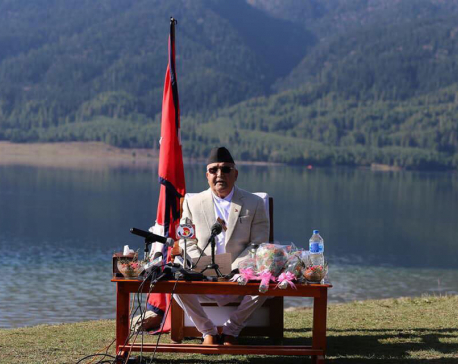 Nepal ranks fourth out of 198 nations in the world with regard to the adverse effects of climate change. Within Nepal, mountain areas are most susceptible to this effect, wherein the trans-Himalayan areas like Mustang are highly vulnerable to impact. The district is at extreme risk from the Glaclier lake outburst (GLOF phenomenon). Studies around the world have shown that 150 to 200 million people are likely to be displaced because of environmental factors by 2050 and more and more people are likely to migrate because of climate change. Despite uncertainty over the exact number of people likely to migrate, there is agreement among scholars that the phenomenon of ‘environmental migration’ owing to climate change will turn worse in the coming years. Dhey residents have unanimously decided to abandon their ancestral village and move to a new location in Thangjung, Mustang. The climate refugee problem has started with Dhey becoming the first climate refugees of the Himalayan country. The situation will be much worse when other villages are made to suffer a similar fate in a mountainous country already marred with poverty. Mountain people are survivors known best for their perseverance. This community has withstood harsh environment and evolved for generations, but the pace of change in climate and its consequences has forced these communities to leave their home and fight for survival. Dhey people want to internally migrate to Thangjung, Mustang. However, their migration journey is not going to be easy as they have still not been able to get enough support from the government. Until now they have adapted to the changes using their own traditional knowledge and collective actions. Government agencies within the district have committed to finding solutions but the problem still persists. “District development committee and district administration committee have already recognized the problem and asked for appropriate support from government and donor agencies but we got nothing but sympathy,” said Pasang Gurung. The committee has been lobbying and asking support with the government for land ownership and other basic support. Few well-off houses have already migrated to better areas while the youths have made headways abroad, leaving behind their children, old parents and homes, unsure if their village will remain the same till they return. Deceived by nature in their homeland, Dhey is on the verge of becoming a ghost village and its people are fast becoming the first victims of climate change and refugee within their country.